2B is a perfect fit for Soulcalibur's roster. Not only is she incredibly handy with her wicked blade, but she's gorgeous, with a super-short skirt and great legs... like I said, she fits in perfectly with the rest of the roster. In addition to the character herself, there will also be a new NieR: Automata stage to play on, and a music track too. NieR: Automata has the best music - this is going to be my favourite stage, surely. We've got no idea when this DLC will land, but season pass owners will naturally get it as part of their purchase. So in addition to the great news about 2B joining the Soulcalibur VI cast, we also now know the latest addition to the Dead or Alive 6 crew. It's Christie, the white-haired assassin who's been hanging around since Dead or Alive 3. I'd be lying if I said Christie was my favourite character, but given that I've already got two of my favourite three confirmed (Marie Rose and Hitomi, with Kokoro still to come), I can hardly begrudge any more additions at this stage. There's apparently a trailer with Christie being shown at Paris Games Week at the moment. We don't have that trailer online yet, but according to Koei it'll be coming soon enough. As they say, "everything is better when it's on Switch". Capcom has taken these wise words to heart and is bringing three of its classic zombie horror titles to the console. Those three games are: Resident Evil 1, which was where it all started (naturally, the Switch release will be the HD remaster), Resident Evil 0, the prequel and the game that has the best setting of all Resident Evil titles to date (the opening chapter's train is a real classic moment in the series), and finally Resident Evil 4, regarded by most as the highlight in the entire series. 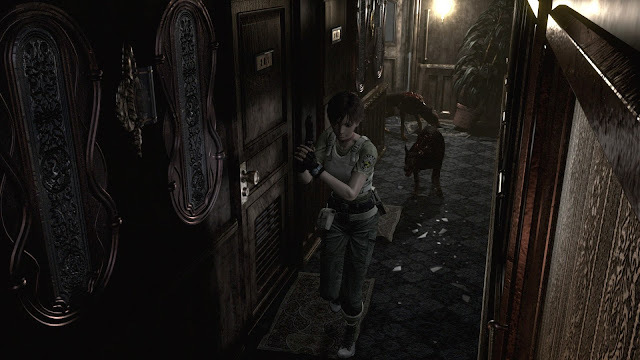 Of course, Resident Evil fans probably have four or five versions of each of these games by now, but having them on the go is reason enough to buy them all over again... right? All three will release in 2019. 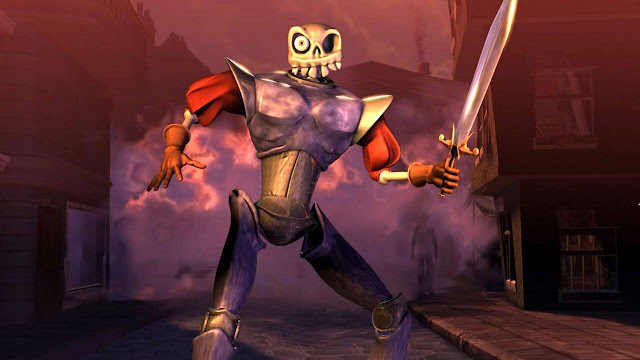 People who grew up with the original PlayStation remember MediEvil fondly - the satirical action/platformer starring an incompetent dead guy with a sword. But if you try to play that game today? Borderline unplayable, I tells you. The industry has moved far from when MediEvil was the standard. So it's probably just as well that the new MediEvil, which Sony confirmed a while ago, but hasn't provided any details of until now, will be a top-to-ground remake. Bringing modern production values to the base concept is a much better idea than sprucing that original up and then leaving players to figure out how to actually play the thing. There will be a big trailer released for the game on October 31, which will hopefully give us a good insight into what to actually expect from this game.